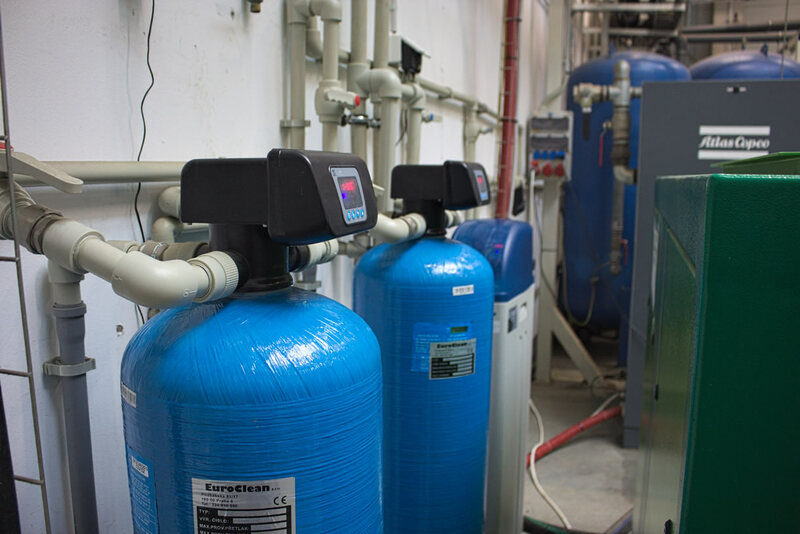 AquaEmix is a multifunctional water treatment plant that removes iron, manganese, hardness, ammonium ions and organic impurities (COD) from water. 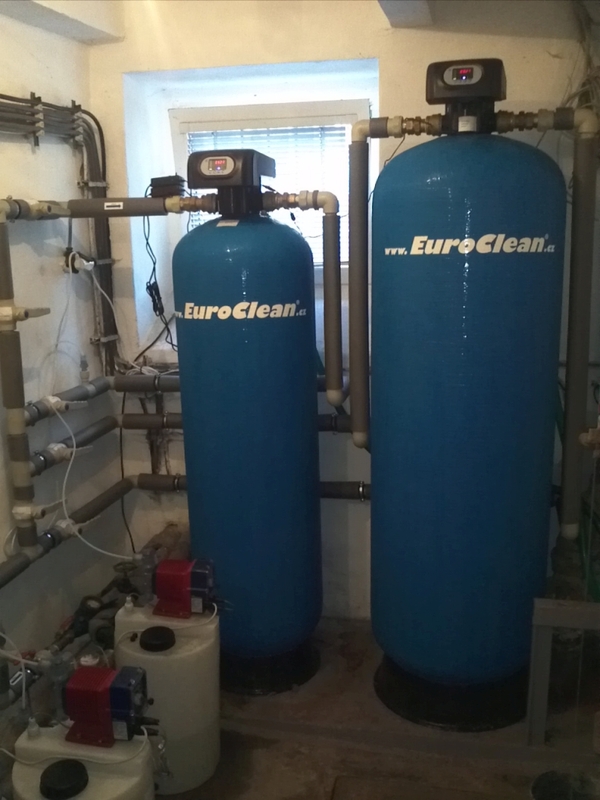 This combined water treatment solution delivers two to three times cost savings compared to conventional technologies. Iron and manganese settle down in the pipeline and wash off as a rusty or dark brown cloud when taking water. 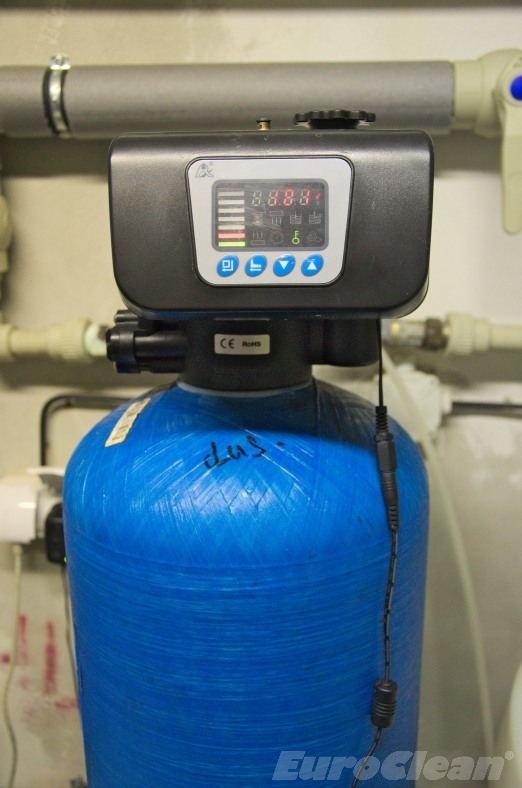 Water hardness causes incrustations on heat exchange surfaces, pipes, fittings and water heaters. Ammonium and organic substances promote the presence of algae and bacteria, and are themselves detrimental to health. 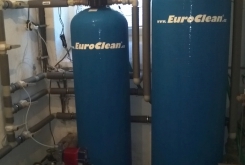 AquaEmix works on the principle of ion exchange, when a special patented filter bed adsorbs undesirable substances. 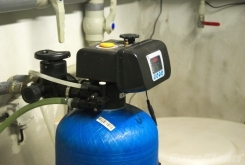 The filter cartridge is regularly regenerated with brine. 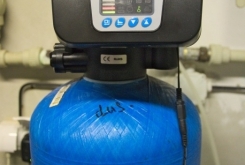 During the regeneration, the supply of treated water is interrupted, but two AquaEmix units can be connected parallel to each other as a so-called DUPLEX to ensure continuous operation of the device. 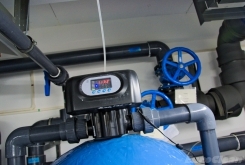 The AquaEmix can be connected to the main supply of treated water to a building or to a device using a bypass fitting. The outlet of the water that flows out of the filter during the regeneration is introduced to the sewerage. 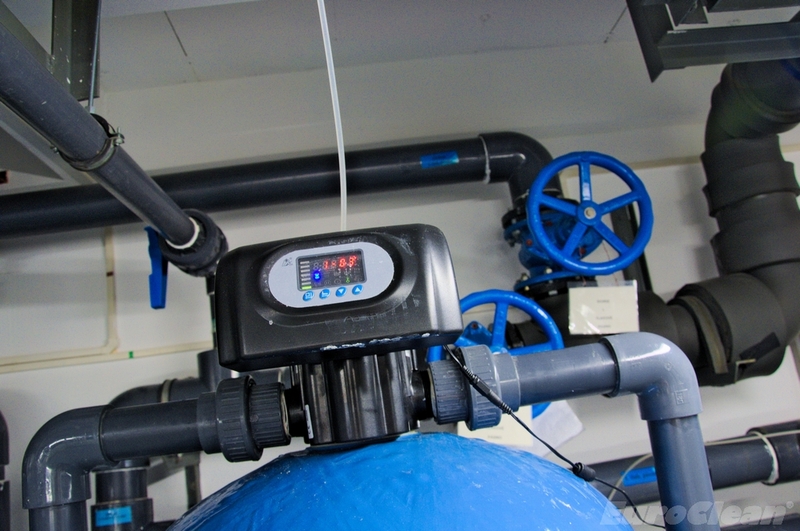 The final step is to set the control valve according to your needs.